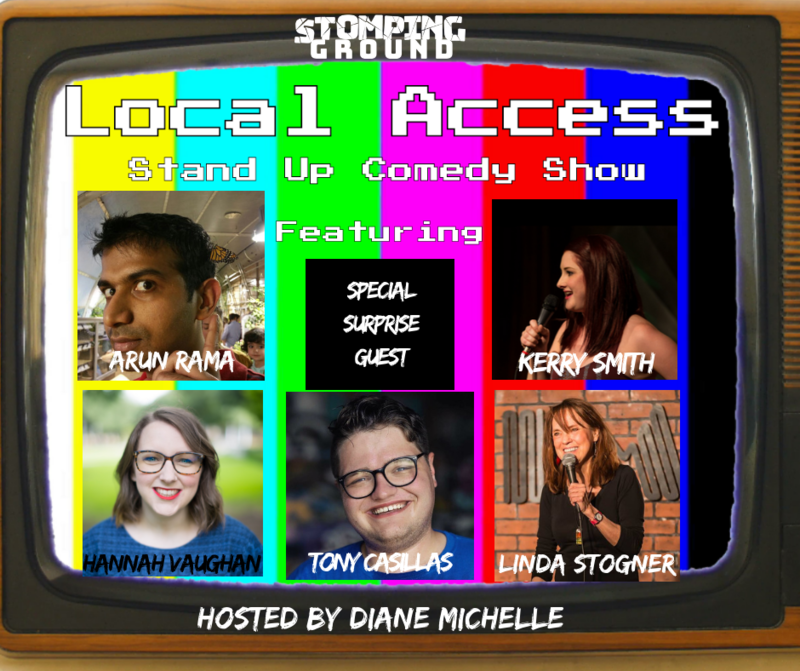 Local Access is the monthly stand up comedy show brought to you by Stomping Ground Comedy. Hosted by Diane Michelle, Local Access features the best local stand up comedians, up and comers, and the occasional out of town surprise. The February show features local favorites Tony Casillas, Gage Tijerina, Hannah Vaughan, Arun Rama, and Linda Stogner. Headlining the evening will be Dallas’ own Kerry Smith.